Kirsten Dunst. Jason Schwartzman. Steve Coogan. Judy Davis. Rip Torn. Asia Argento. Marianne Faithfull. Aurore Clement. Molly Shannon. Shirley Henderson. Jamie Dornan. Drama. 18th Century. True Stories. War. Biopic. Revolution. Historical. 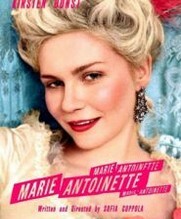 Sofia Coppola brings to the screen an undeniably sympathetic addressing of the short life and times of France's last queen, creating a ravishing picture of Marie's life. This visual feast is an entertaining slice of historical re-jigging, telling the tale of a naive and opulent monarch in a time of revolution, one who breathed in full the last gasp of a dying age of decadence. But historical accuracy or analysis - forget it.